Every electronic appliance we use in our day-to-day life,such as mobile phones, laptops, refrigerators, computers, televisions and all other electrical and electronic devices are manufactured with some simple or complex circuits. Electronic circuits are realized using multiple electrical and electronic components connected with each other by connecting wires or conducting wires for the flow of electric current through the multiple components of the circuit, such as resistors, capacitors, inductors, diodes, transistors, and so on. Circuits can be classified into different types based on different criteria, such as, based on connections: series circuits and parallel circuits; based on the size and manufacturing process of circuit: integrated circuits and discrete circuits; and, based on signal used in circuit: analog circuits and digital circuits. Integrated circuit or IC or microchip or chip is a microscopic electronic circuit array formedby the fabrication of various electrical and electronic components (resistors, capacitors, transistors, and so on) on a semiconductor material (silicon) wafer, which can perform operations similar to the large discrete electronic circuits made of discrete electronic components. As all these arrays of components, microscopic circuits and semiconductor wafer material base are integrated together to form a single chip, hence, it is called as integrated circuit or integrated chip or microchip. 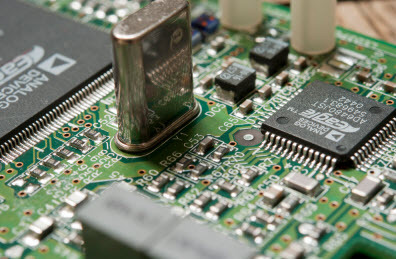 Electronic circuits are developed using individual or discrete electronic components with different sizes, such that the cost and size of these discrete circuits increase with the number of components used in the circuit. To conquer this negative aspect, the integrated circuit technology was developed – Jack Kilby of Texas Instruments developed the first IC or integrated circuit in the 1950s and thereafter, Robert Noyce of Fairchild Semiconductor solved some practical problems of thisintegrated circuit. There are different types of ICs; classification of Integrated Circuits is done based on various criteria. A few types of ICs in a system are shown in the below figure with their names in a tree format. Based on the intended application, the IC are classified as analog integrated circuits, digital integrated circuits and mixed integrated circuits. The integrated circuits that operate only at a few defined levels instead of operating over all levels of signal amplitude are called as Digital ICs and these are designed by using multiple number of digital logic gates, multiplexers, flip flops and other electronic components of circuits.These logic gates work with binary input data or digital input data, such as 0 (low or false or logic 0) and 1 (high or true or logic 1). 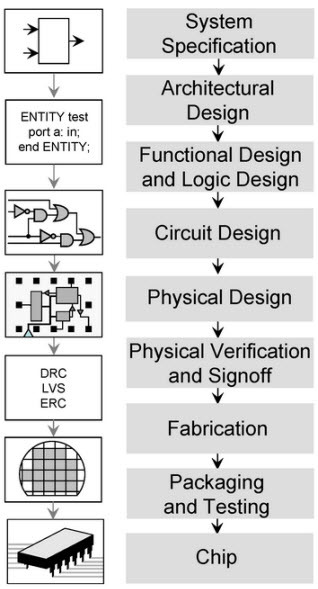 The above figure shows the steps involved in designing a typical digital integrated circuits.These digital ICs are frequently used in the computers, microprocessors, digital signal processors, computer networks and frequency counters. 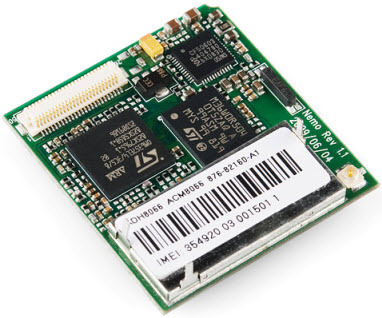 There are different types of digital ICs or types of digital integrated circuits, such as programmable ICs, memory chips, logic ICs, power management ICs and interface ICs. 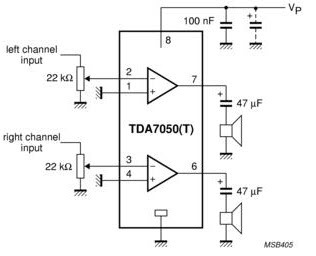 The integrated circuits that operate over a continuous range of signal are called as Analog ICs. These are subdivided as linear Integrated Circuits (Linear ICs) and Radio Frequency Integrated Circuits (RF ICs). In fact, the relationship between the voltage and current maybe nonlinear in some cases over a long range of the continuous analog signal. The frequently used analog IC is an operational amplifier or simply called as an op-amp, similar to the differential amplifier, but possesses a very high voltage gain. It consists of very less number of transistors compared to the digital ICs, and, for developing analog application specific integrated circuits (analog ASICs), computerized simulation tools are used. 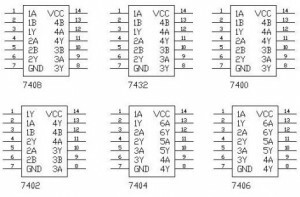 The integrated circuits that are obtained by the combination of analog and digital ICs on a single chip are called as Mixed ICs. These ICs functions as Digital to Analog converters, Analog to Digital converters (D/A and A/D converters) and clock/timing ICs. 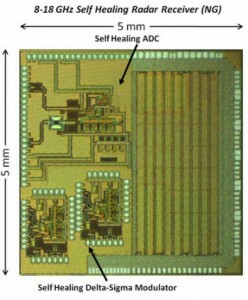 The circuit depicted in the above figure is an example of mixed integrated circuit which is a photograph of the 8 to 18 GHz self healing radar receiver. 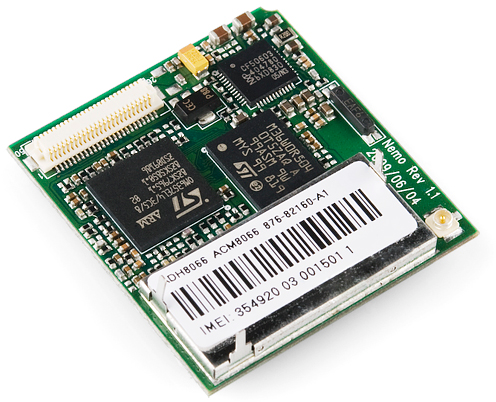 This mixed-signal Systems-on-a-chip is a result of advances in the integration technology, which enabled to integrate digital, multiple analog and RF functions on a single chip. These ICs are designed using logic gates-that work with binary input and output (0 or 1). These are mostly used as decision makers. Based on the logic or truth table of the logic gates, all the logic gates connected in the IC give an output based on the circuit connected inside the IC- such that this output is used for performing a specific intended task. 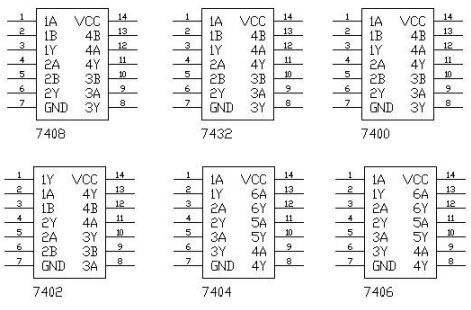 A few logic ICs are shown above. The comparator ICs are used as comparators for comparing the inputs and then to produce an output based on the ICs’ comparison. 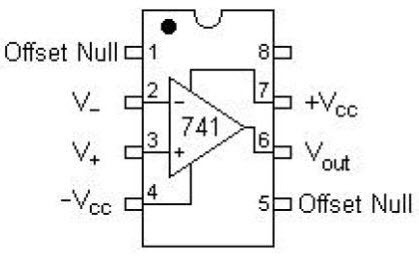 Switches or Switching ICs are designed by using the transistors and are used for performing the switching operations. The above figure is an example showing an SPDT IC switch. The audio amplifiers are one of the many types of ICs, which are used for the amplification of the audio. These are generally used in the audio speakers, television circuits, and so on. The above circuit shows the low- voltage audio amplifier IC. The operational amplifiers are frequently used ICs, similar to the audio amplifiers which are used for the audio amplification. These op-amps are used for the amplification purpose, and these ICs work similar to the transistor amplifier circuits. 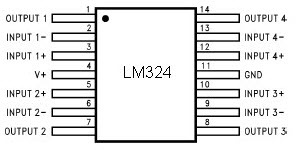 The pin configuration of the 741 op-amp IC is shown in the above figure. 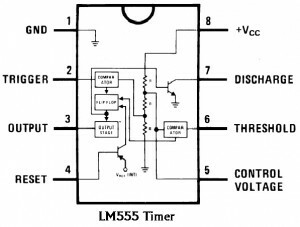 Timers are special purpose integrated circuits used for the purpose of counting and to keep a track of time in intended applications. 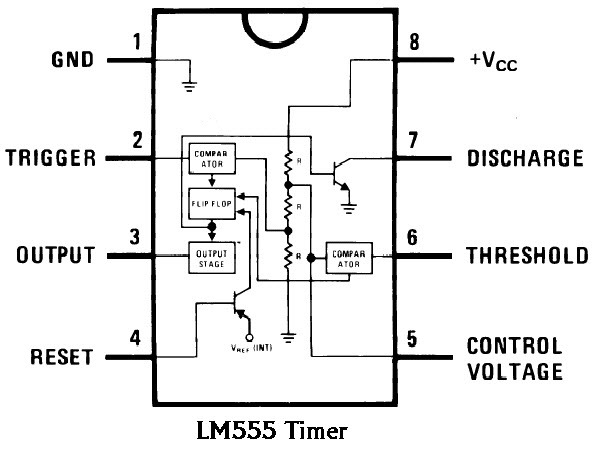 The block diagram of the internal circuit of the LM555 timer IC is shown in the above circuit. Small-scale integration consists of only a few transistors (tens of transistors on a chip), these ICs played a critical role in early aerospace projects. Medium-scale integration consists of some hundreds of transistors on the IC chip developed in the 1960s and achieved better economy and advantages compared to the SSI ICs. Large-scale integration consists of thousands of transistors on the chip with almost the same economy as medium scale integration ICs. The first microprocessor, calculator chips and RAMs of 1Kbit developed in the 1970s had below four thousand transistors. Ultra large-scale integration consists of transistors in excess of more than one million, and later wafer-scale integration (WSI), system on a chip (SoC) and three dimensional integrated circuit (3D-IC) were developed. All these can be treated as generations of integrated technology. ICs are also classified based on the fabrication process and packing technology. There are numerous types of ICs among which, an IC will function as timer, counter, register, amplifier, oscillator, logic gate, adder, microprocessor, and so on. The conventional Integrated circuits are reduced in practical usage, because of the invention of the nano-electronics and the miniaturization of ICs being continued by this Nano-electronics technology. However, the conventional ICs are notyet replaced by nano-electronics but the usage of the conventional ICs is getting diminished partially.For improving this article technically, please post your queries, ideas and suggestions as your comments in the below section.